The sunken village of Singleton Thorpe, off the coast of Cleveleys, is one of the earliest local examples of relocation because of flooding. On 12 October 2016, Rossall Beach Residents & Community Group held a meeting with speaker Ken Emery from Wyre Archaeology Group. 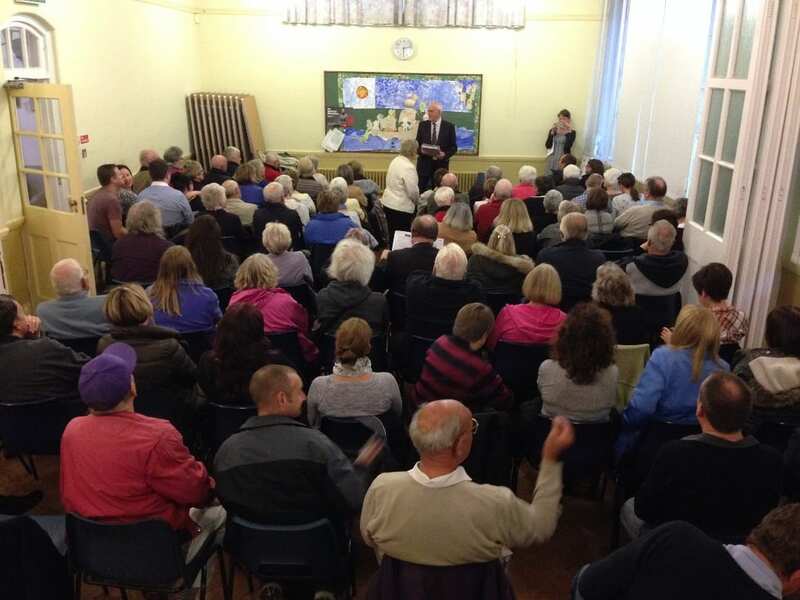 An unprecedented number of people filled out the community centre to hear about the lost village of Singleton Thorpe. It was a fascinating evening, with contributions from local historians and members of the public who chipped in with their own information, sightings and anecdotes. One of the Wyre Archaeology group members talked about an excavation they’d carried out. On a low neap tide in April 2016 they’d been out on the beach to excavate, and found the remains of houses and habitation. 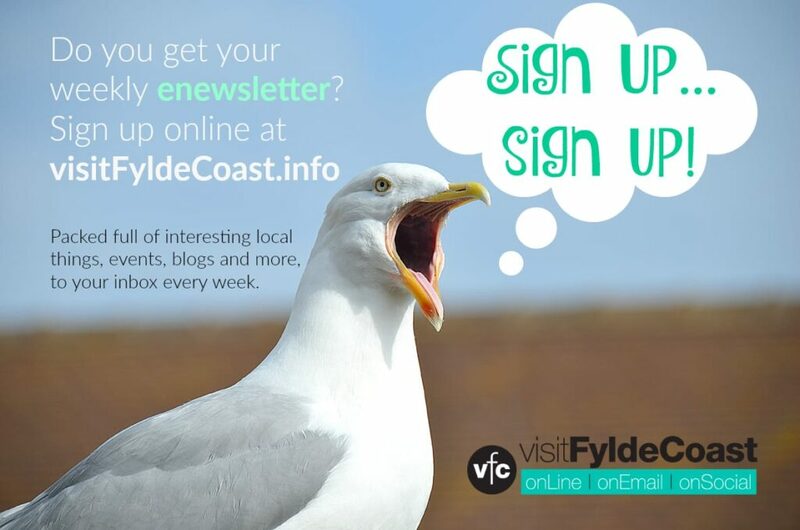 The talk was so successful that the Rossall Beach Group has invited Wyre Archaeology back to do another talk. This time the photos and evidence will be shown on the big screen and hopefully there will also be lots of information from the audience. You’ll hear various descriptions of where the lost village of Singleton Thorpe is believed to be – all in the vague area of ‘Rossall’. It was especially fitting that this discussion was held at a Rossall Beach Group meeting and that Paul was there, one of the group who had been out digging at low tide in April 2016. 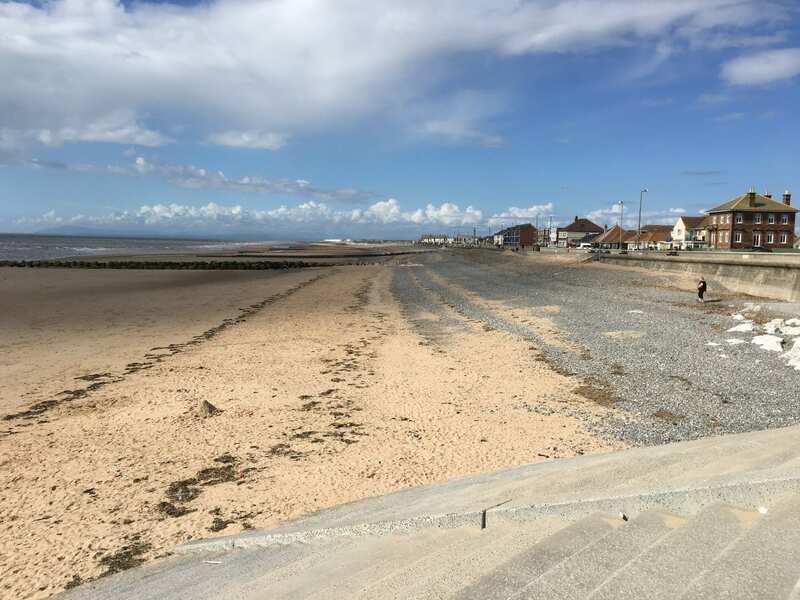 Paul explained that they had gone out to the shore line directly in front of the seafront car parking area off Rossall Promenade at Cleveleys, known as Rossall Beach. They’d found A frames and evidence of buildings submerged in the beach. 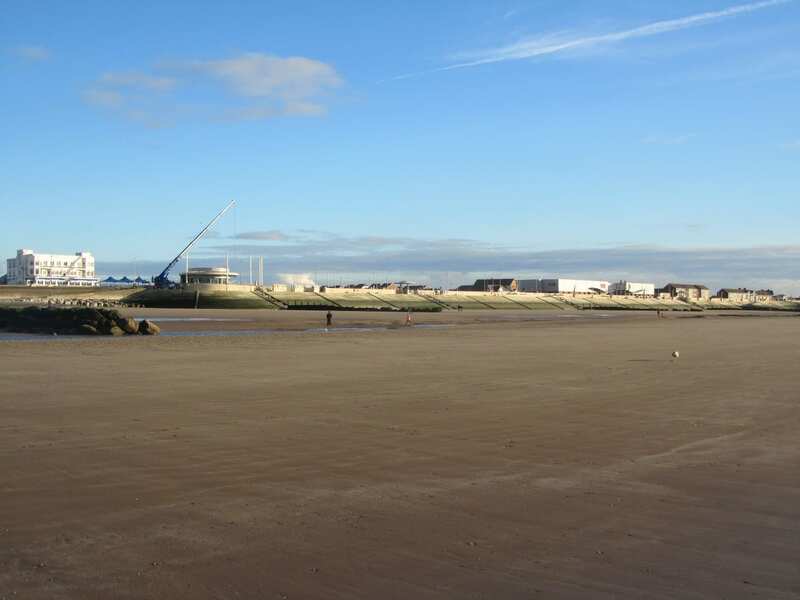 What lies under the sand off Rossall Beach? 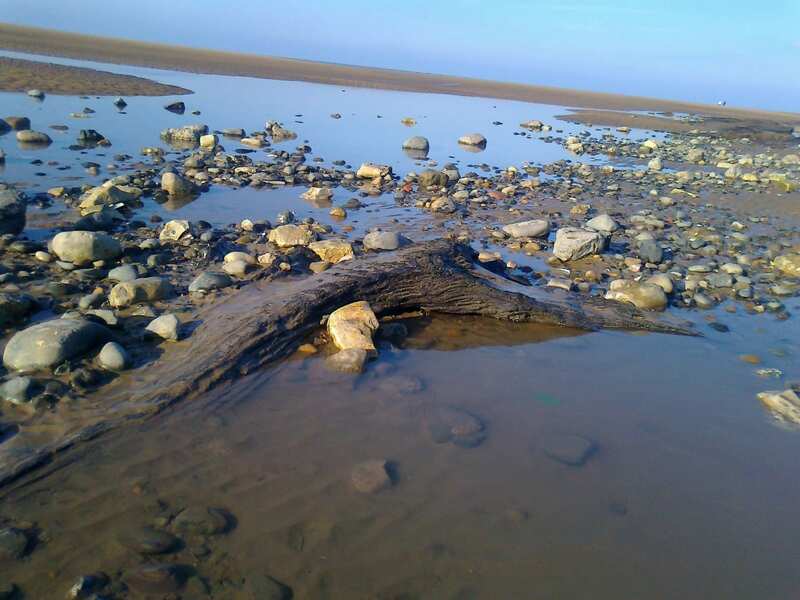 Along Cleveleys beach at low tide there are also remains of petrified forest to be found. These have been dated back to the Ice Age. Whether the tree stumps and trunks can be seen depends on beach levels. Closer to shore and lost in more recent inundations, Higher Carr farm was at the seaward end of Carr Gate – now lost to the sea, but is visible to be seen on Victorian photographs. Lower Carr farm was where Carr Gate and Thornton Gate meet at the grassed area known locally as the duck pond. 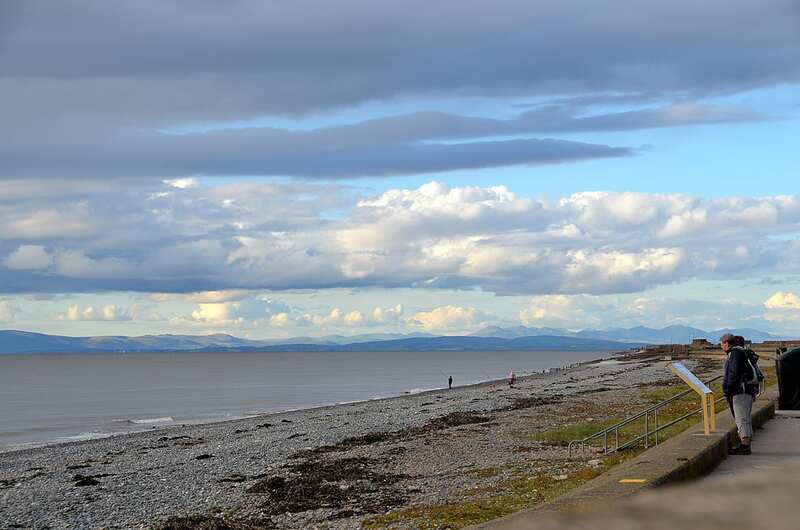 At the Rossall Beach Group meeting, Ken Emery provided historical quotes and information from over the years. They gave a fascinating insight into the devastation which has been caused by the sea over hundreds of years. Remember that this is a time long before the modern concrete sea defences which we are so familiar with today – when the power of the sea went unchecked and did whatever damage it liked. The inundation of 1532 was said to have swept inland for up to 2 miles, and swept away the original Rossall Grange and the village of Wadham Thorpe at South Shore Blackpool/Squires Gate. In 1555 another inundation swept inland, and was documented by a Victorian clergyman called Rev Thornber. He took his source from Dodsworth who reputedly said that there was an ‘eruption’ of the sea and Rossall Grange and the village of Singleton Thorpe were swept away by the sea. Survivors fled to erect their tents at Singleton. Now although Rev Thornber was a Victorian historian who reputedly liked his Port and pleasures of the flesh (!) he goes on to describe what sounds like we’d describe as the conditions of a tsunami – which swept as far across land as the River Wyre. Twenty six other place names were lost off the map at this time – which substantiates the theory of it being such an event. Whatever it was it was certainly a storm of significant force. In 1893 an expedition was led by the editor of the then Blackpool Times, who went out at a low spring tide to look for evidence. Of course he found the submerged forest, and also evidence of building foundations including a trench, cobble stones, lime mixes and rafters. As these were all built in straight lines with defined angles they were certainly evidence of a building, with every reason to believe that it was part of a bigger village or area of habitation. The area is also marked Singleton Skeer on maritime maps. There was indeed an inundation in the mid 1500’s. It is widely thought to all be at the same time in one terrible night in September of 1554/5, but as few people wrote back then, evidence is sketchy. However, there certainly was the destruction of 12 villages between Carlisle and Southport when a Tsunami hit the West Coast of the UK in or around that year, three of which were on our peninsula. No one survived at Wadham Thorpe, which is supposedly around the Squires Gate area of Blackpool. And finally Singleton Thorpe which was sited off Rossall, and it’s cobbled road can be seen heading into the waves at a Neap Tide (lowest tide of the year), as my uncle walked it many years ago. There were apparently just four survivors from there and they then moved seven miles inland, dropping the word Thorpe and setting up what we now know as Singleton.  The clue is allegedly in the name, as the village was the “ton” (or dialect for village), on the shingle beach, hence S(h)ingleton Thorpe, or the village on the shingle beach. Singleton is nowhere near a shingle beach, hence its name perhaps belies it’s more westerly origins. The villages of Singleton and Singleton Thorpe, were actually both mentioned in the Domesday Book, so obviously the inland village was already established before the inundation of the mid 1500’s. Although maybe there was a connection between the two places which gave rise to them having the same names. To this day, the superstitious fishermen of Fleetwood will return immediately to port if they think they hear the bells of Singleton Thorpe church tolling under the waves. In past years, David has also done tours of the Cleveleys Cottage Exhibition site around the West Drive area as part of Heritage Weekend. Despite it’s world importance and world’s first (allegedly) status, has little written or known about it and isn’t listed in any form at all, despite it’s strong links to Sir Edward Lutyens. “It’s strongly indicated that in 1532 where South Blackpool/Squires Gate is now, the sea rapidly surged inland for some distance. The village of Waddam Thorpe was destroyed in the inundation and there is no record of any survivors. The original building at the site of Rossall School was also lost way back then. After some time the sea finally receded to the coast line we are used to at present. “A similar thing is said to have happened at Cleveleys in 1555, though the records are not clear of the exact date with 1554/1558 also being cited. The sea surged upon the land destroying the village of Singleton Thorpe, but unlike at Waddam Thorp, most of the villagers escaped, and went to live at Singleton – some 7 miles inland. History of the Fylde of Lancashire by John Porter, written in 1876. This takes you from the ancient Britons, Romans, Anglo Saxons and Danes to Queen Victoria, looking at all the local places in turn. 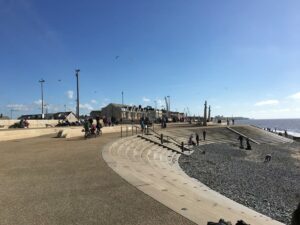 The view of Cleveleys promenade from the beach. Did people once live in this spot?